Do I Need a 5.1 Surround Sound System for My Computer? There are a lot of different things a 5.1 surround sound speaker system can do for your computer, but do you really need one? A lot of people aren’t exactly sure what differentiates one audio system from another, let alone what constitutes “true” surround sound, digital audio signals, or what satellites and subwoofers are. This article will definitely help clear up some of the finer points and help you decide whether a full 5.1 surround sound speaker system is the right choice for your computer. Surround sound is a big commitment. Before you buy a 5.1 audio system for your PC, there are a few things that you need to be prepared for. Here’s a quick rundown. “5.1” means five speakers and one subwoofer, which is the large, powered speaker that provides that rumbling bass that we all love, and in the case of most 5.1 PC systems, also acts as the receiver and mixer, sending audio signals to each of the 5 smaller “satellite” speakers. Of course, that’s six speakers total, the rear left and right of which are supposed to go above and behind your head. That’s a lot of space and a lot of wires running all over the place, so make sure you have a place to put them (and some time to set them up). To be perfectly honest, you don’t need surround sound if you don’t know what you’re going to do with it. 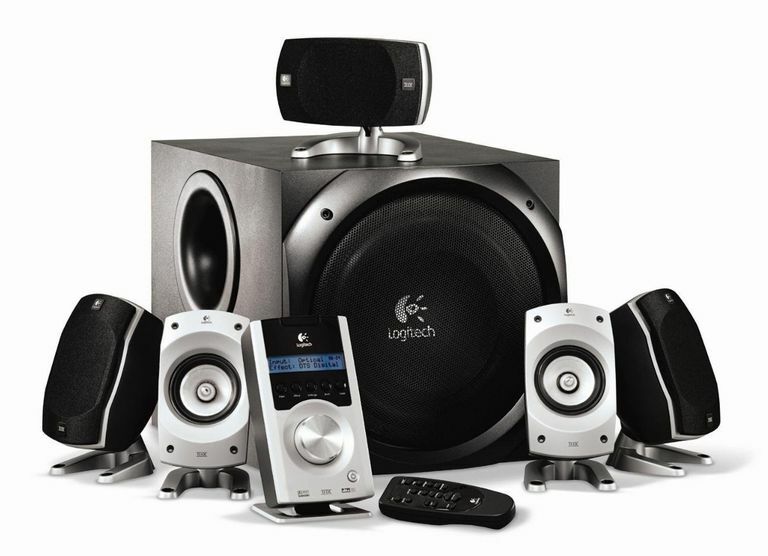 5.1 computer speaker systems are perfect for people who watch a lot of movies on their PC or play video games frequently. That’s when being fully surrounded by intricately layered sound and becoming immersed in your environment the way surround sound audio allows is truly worth the price and hassle. To experience “true” surround sound, you’ll need a sound card that can output digital sound via an optical or coaxial audio cable. For some users, this may require an upgrade, but it’s an important thing to have if you’re going to spend top dollar for a 5.1 surround sound system. If you’re investing your time and your space to a quality surround sound system, you should probably prepare to invest a couple of hundred dollars as well. There are plenty of surround sound systems out there for cheaper, but most of them don’t offer “true” digital surround sound, and they’re nowhere near the quality you should be looking for in a surround sound setup. If you don’t have the cash, you’d be much better off buying a decent 2.1 speaker set for the same price.